And it isn’t just “suits and ties.” Brethren have all sorts of opinions on this issue. I’ve heard that men’s shirts should always have a collar. I’ve heard that men should at least wear a jacket, like a sports coat. I’ve heard that men should always wear slacks. I must say, I believe the brethren who are saying these things are the ones who need to examine themselves, and not necessarily the brethren who have forsaken the suit and tie. After all, who are we to judge our brother for what he wears? In fact, if your brother wears jeans and a t-shirt, who are you to judge him? 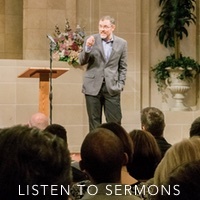 The judgmental attitude we wear to worship is a far more serious issue than whether or not someone else wears a suit and tie (or a shirt with a collar or slacks or whatever)! Clothing is a matter of culture and culture changes. 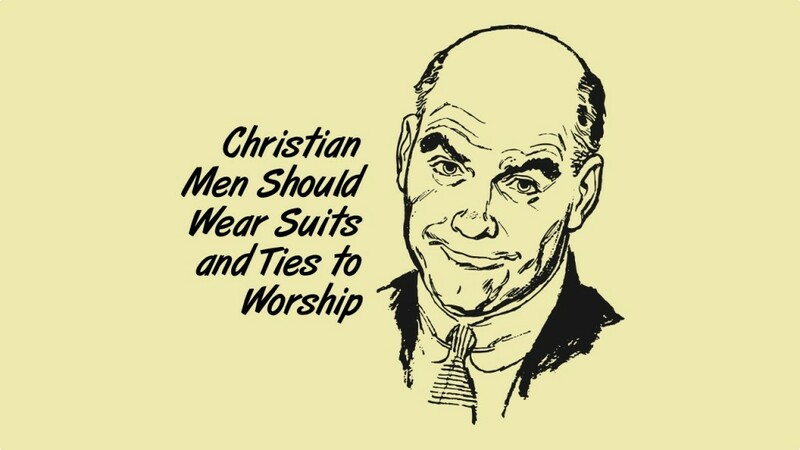 Jesus certainly never wore a suit and tie. Today’s culture is different from the culture of the 1st century. And the culture of the 21st century is different from the culture of the 20th century. You’re keeping people out of the kingdom. Many people are hesitant to attend worship services because they know they’ll be judged for not having “good enough” clothes. This is a shame that anyone has EVER been made to feel this way. Don’t let your tradition become a matter of doctrine (Matthew 15:1-9). You can’t know people’s hearts. Don’t assume their clothing reflects a lack of reverence and respect. Only the Lord knows that (1 Samuel 16:7). Using your opinions and traditions as the standard is exactly the kind of “judging” that is condemned in Scripture (Matthew 7:1-2; Romans 14:1-12). You lose credibility with people when you can’t discern between your traditions and your doctrines. If you’re going to tell someone, “It’s wrong to do such-and-such,” then you better be speaking “the oracles of God” and not your own opinion (1 Peter 4:11). If you want to wear a tie, wear a tie. If you want to wear a suit, wear a suit. And if you choose to wear jeans and a t-shirt, I’ll not judge you, brother. I ask that you do the same for our other brothers in Christ. Please understand, I don’t want to see us treat worship casually, but I also don’t want to see us set a standard other than the Bible. I don’t want us to be flippant about what we wear, but I also don’t want us to be judgmental about what others wear. Our concern should be loving our brothers and sisters in Christ, not trying to police their clothing.